I have recently become obsessed with eyebrows, I don’t the reason for it but it’s probably after seeing this picture (see below) of celebs without their eyebrows lol. 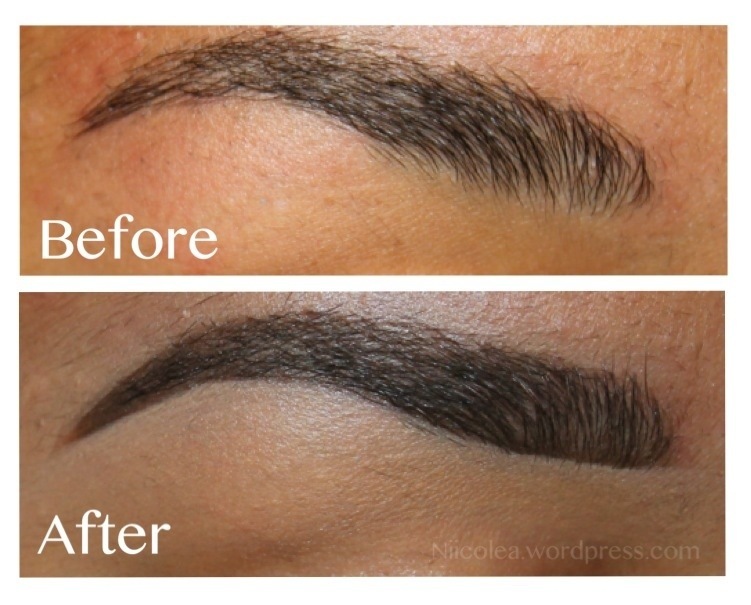 Eyebrows are just a must and it makes such a difference by slightly filling them in. My eyebrow routine is probably the most requested tutorial – so today I’m finally showing you how I do my eyebrows. I constantly change the way I do my brows as I like to try out new products, however these products are the ones I normally reach for. Some people might think this is to much work for just some eyebrows but this works best for me. Let me know what you think. 1. Start by creating a line on the lower part of the brow – Draw another line from the top of your arch and out to create the tale. Use an eyebrow pencil or a brow powder. 2. Brush the hair upwards a few times with an eyebrow spoolie to blend out the harsh lines. 3. Brush through the eyebrows with an eyebrow gel – Use a tinted or a clear eyebrow gel. 4. With a synthetic angled brush start to “clean up” underneath the brow with a concealer that is two shades lighter than your skintone. 5. To blend out the light concealer under the brow (step 4.) take a small flat synthetic concealer brush and apply a skin tone coloured concealer or your foundation and blend it into the skin. 6. Take the same flat concealer brush and a skin tone concealer or foundation and apply this above the brow to “sculpt” the tale of the brow. Brush through the eyebrow with the eyebrow spoolie. EDIT: See my updated brow routine here. I use H&M pencil, too!! But I use Light Brown and sometimes I use also Essence Eyebrows kit, that has two colors and the lighter is right for me. In summer I don’t use anything beacause my brows become blonde and I like them in natural style. Love the H&M pencils I need to get the other colours for my makeup kit! !